GHS was very well represented today at the District V Spring Leadership Conference. There were 42 competitors in 29 events. 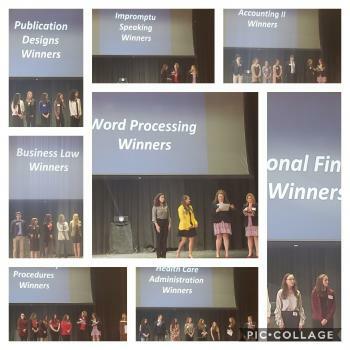 Students have been preparing for these events all year in their business courses, and the past several weeks have been doing tests and other activities that were a part of the process for qualifying for these events.